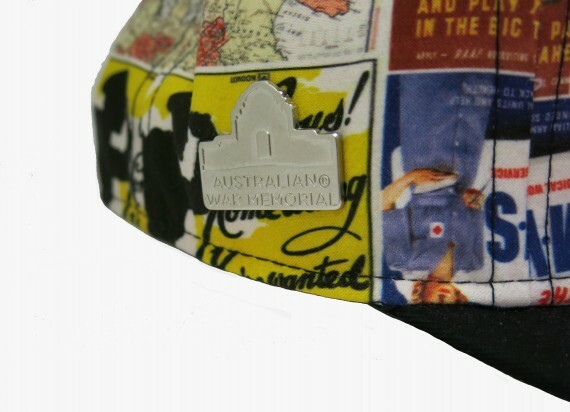 The Australian War Memorial's world-class poster collection comprises over 10,000 wartime propaganda posters, covering all the major conflicts Australia has been involved in. 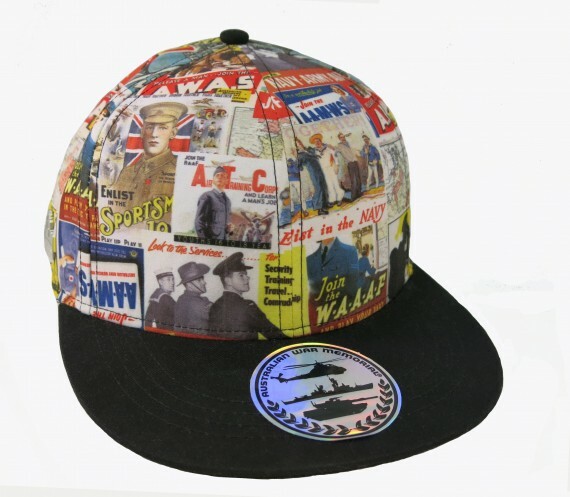 This recruitment poster cap is printed with a montage of these an eye-catching posters on peach touch lined polyester/cotton blend fabric. 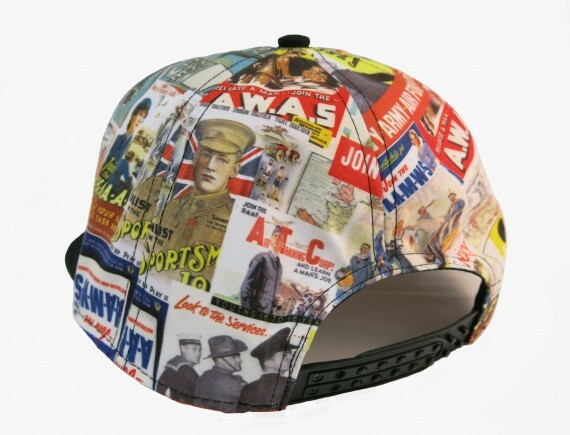 It has a six panel, high-profile shape and flat peak, with an adjustable clip/snap back fastening. 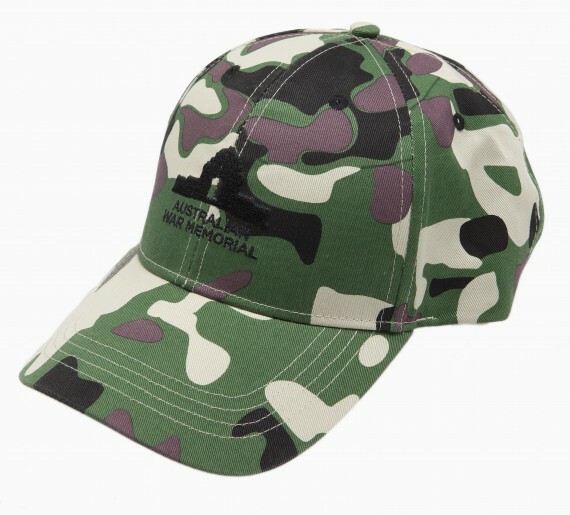 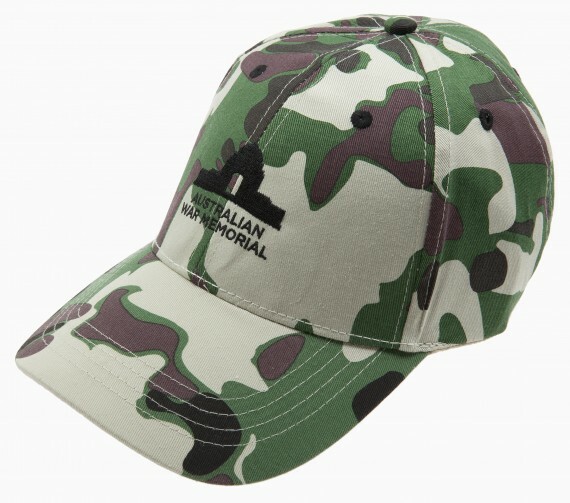 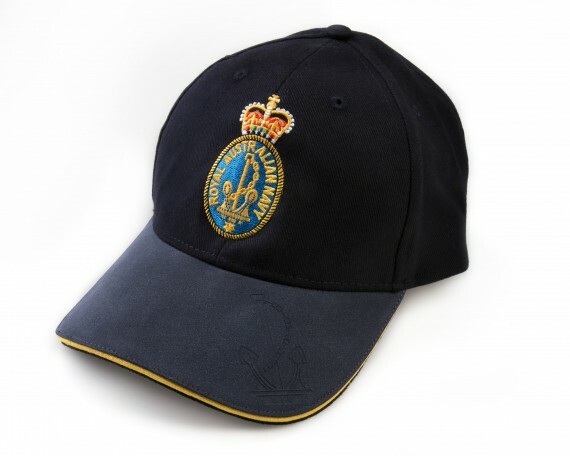 Each cap bears a small metal Australian War Memorial logo on the right size and a hologram sticker on the peak.